This article was originally printed in the August 2012 issue of Sacramento Parent magazine, but I love this idea so much that I wanted to share it with all of my non-local readers as well! 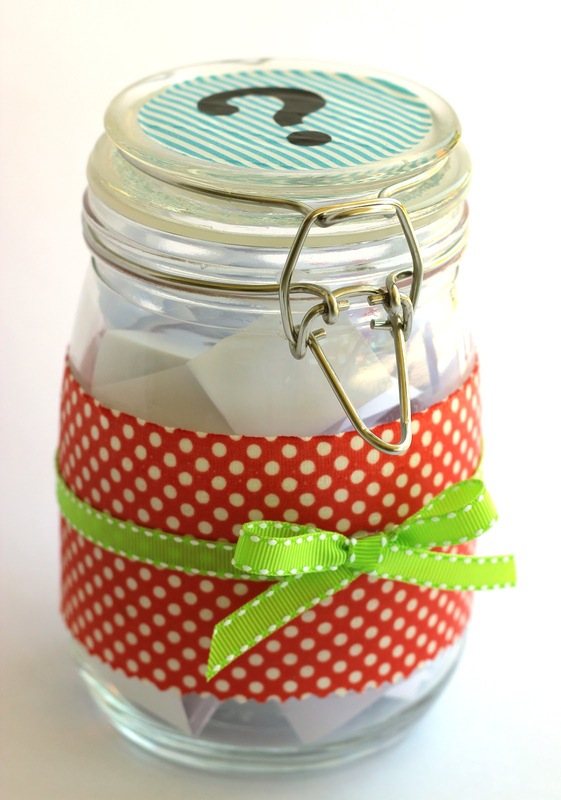 Do your dinner conversations with your family consist of you asking, “How was school today?” and your child mumbling “Fine?” Make dinner time more engaging for everyone by creating a “Family Dinner Conversation” jar. Decorate an old glass jar or box to make it feel special, and then sit down with your family and have everyone write down a few questions and conversation starters. You can download this printable here to get you started! 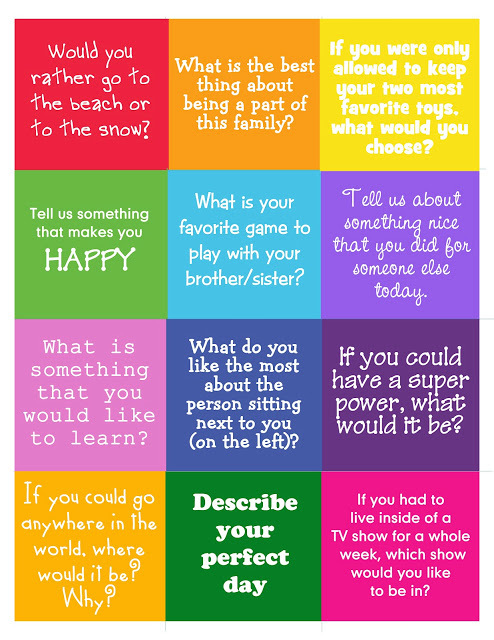 Over dinner have your family take turns choosing a slip of paper from the jar and have fun laughing and learning more about each other as you answer silly questions and ponder different scenarios. Sharing with family is what dinner is all about!